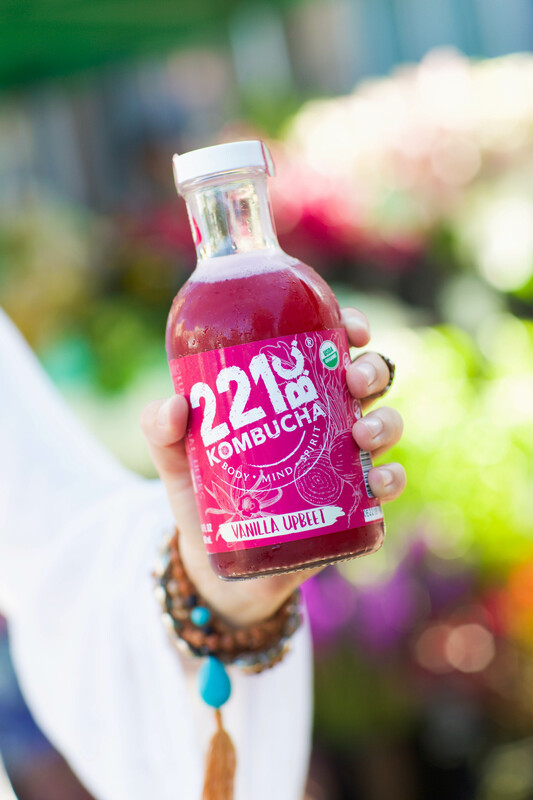 Whether you are a longtime Kombucha lover or new to what is called “nature’s perfect drink,” we encourage you to look around, experience something new, hear from others and tempt your tastebuds! You may already know that ginger can be great for digestion. But did you realize it may also strengthen your immune system and protect your liver? It is nature’s antibiotic that will keep the pep in your step! Purified Water, Organic Cane Sugar, Organic Black Tea, Organic Green Tea, Organic Culture and Organic Fresh Squeezed Ginger Juice. It’s no coincidence that this rosy-hued tonic can offer a major boost for your blood vessels. With the potential to manage high blood pressure and lower LDL cholesterol, your heart and your taste buds are sure to fall in love. Need more perks? It may also aid with menstrual pain and can play a role in protecting your liver. Purified Water, Organic Cane Sugar, Organic Green Tea, Organic Culture, Organic Raspberry Leaf, Organic Blackberry Leaf, Organic Schizandra Berries, Organic Hibiscus Flower and Organic Vegan Raspberry Flavor. Zing! Pow! Bang! The zip of these super spices will remind you that they’re hard at work reducing inflammation in the body and purifying the blood. It’s the perfect finish to a heavy meal with its ability to assist in digesting fats and regulating blood pressure. Kapow! Purified Water, Organic Cane Sugar, Organic Black Tea, Organic Green Tea, Organic Culture, Organic Fresh Squeezed Orange Juice, Organic Cinnamon and Organic Turmeric. So here’s the buzz… We’ve combined the power of honey to help heal wounds and increase energy, with the potent properties of mint and matcha. 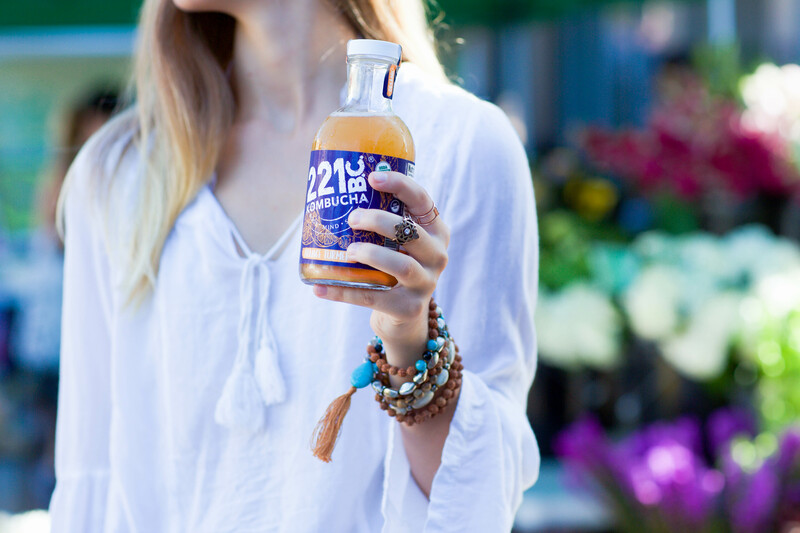 And just like that, you have an elixir with 137x more antioxidants that may also help you improve concentration and detoxify the body. Pretty sweet! Purified Water, Orgainc Honey, Organic Green Tea, Organic Culture, Organic Peppermint Leaf and Organic Matcha Powder. 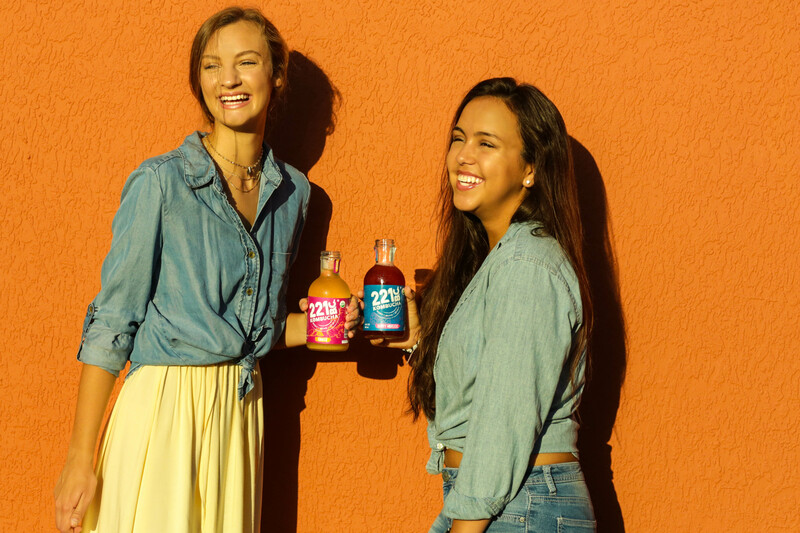 Here’s a drink to smile about! The superfoods in this blend may play a role in fighting depression and acting as a sleep aid. And if you’ve got the sniffles, be sure to take a swig and know that you may be boosting your immune system and attacking allergies. These herbs carry some strong antibacterial properties that will have you feeling like a champ. Purified Water, Organic Cane Sugar, Organic Green Tea, Organic Culture, Organic Holy Basil ( Tulsi) Leaf, Organic Basil Leaf, Organic Fresh Squeezed Grapefruit Juice and Organic Bee Pollen. Feel that tickle on your taste buds? That’s a friendly reminder that your drink may be helping cleanse your liver and fight infection. Lemon Cayenne’s antifungal properties also aid in boosting the immune system. It’s a natural pain killer with a killer taste! Purified Water, Organic Cane Sugar, Organic Black Tea, Organic Green Tea, Organic Culture, Organic Lemon Verbena Leaf, Organic Lemon Balm Leaf, Fresh Squeezed Lemon Juice and Organic Cayenne Pepper. Purified Water, Organic Cane Sugar, Organic Green Tea, Organic Culture, Organic Lavender Flower and Organic Moringa Leaf. Koffee improves brain function. No really! 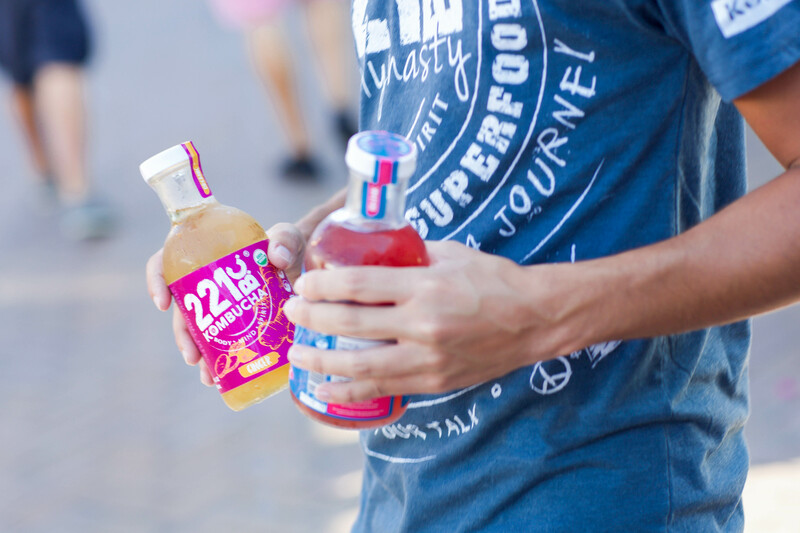 We’re not just saying that since its caffeine gave you a needed pick-me-up. Want to know what else this brew can do? It may improve your mood, ease the symptoms of PMS, and give a glow to your skin. Now that is something to smile about! 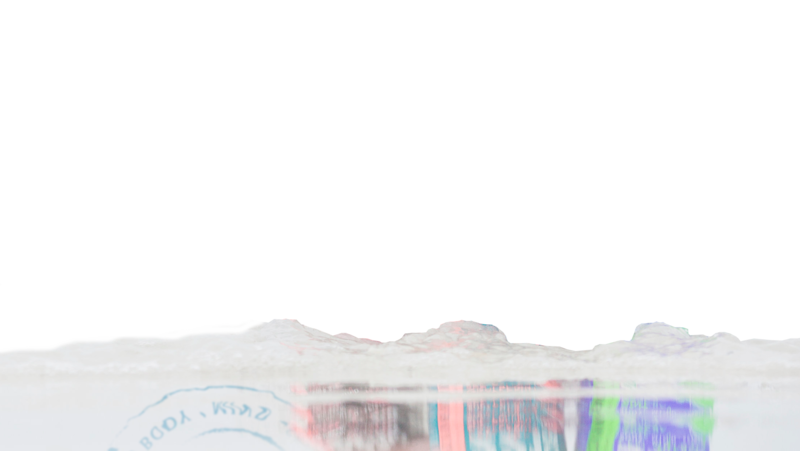 Purified Water, Organic Cane Sugar, Organic Coffee Beans, Organic Culture, Organic Raw Cacao and Organic Almond Flavor. 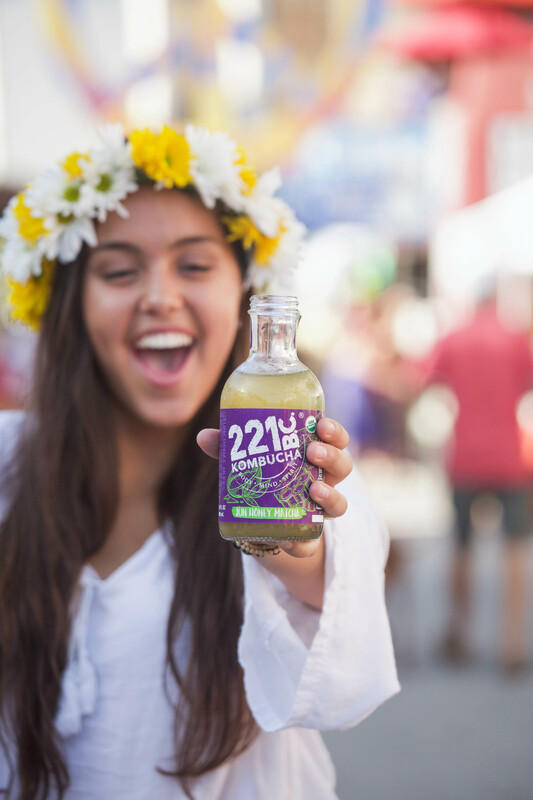 It’s a funny thing when you create a beverage that has the ability to make people smile and help transform their health. It is not just a thing. It is like it becomes an extension of you. 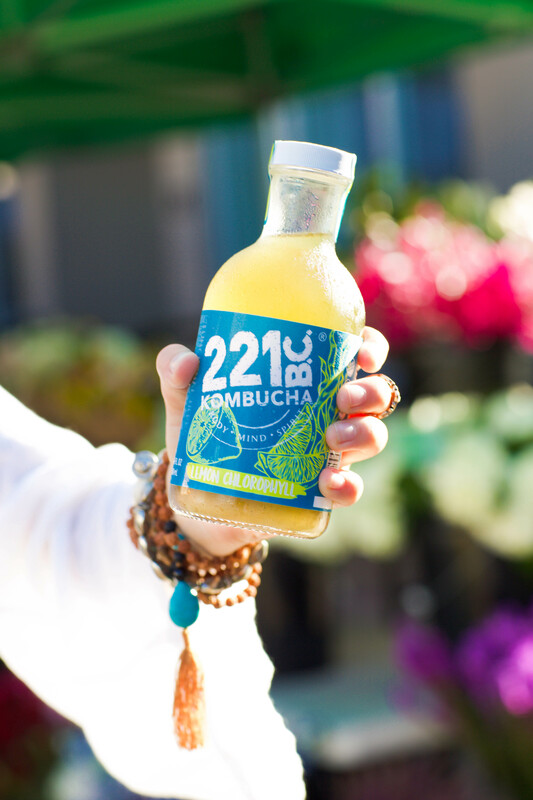 My name is Aneta and I am the proud crafter of 221 BC Kombucha. 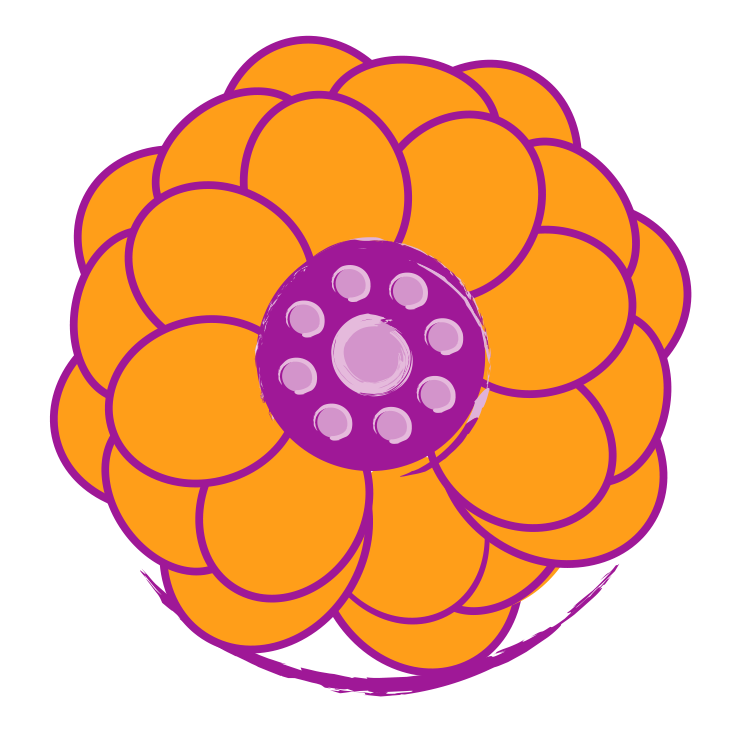 I am a hippy in heels, a mother, a wife, a caregiver, and an activist for balanced living. I am also a crusader for my community to ditch the Standard American Diet (SAD) and reclaim their health. 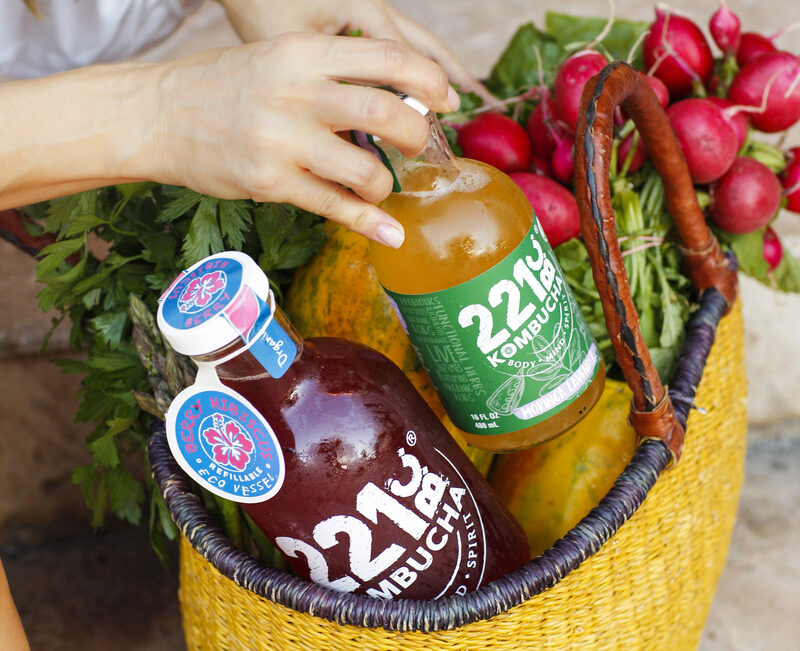 Through brewing kombucha, I’ve realized that my mission on this beautiful Earth is to set in motion a health revolution and offer everyone a nourishing alternative to highly processed sodas and energy drinks! That is why I take so much care in making a product that is truly living and made with organic ingredients.! Here I am in beautiful Sarasota, Florida, doing exactly what I am meant to do. 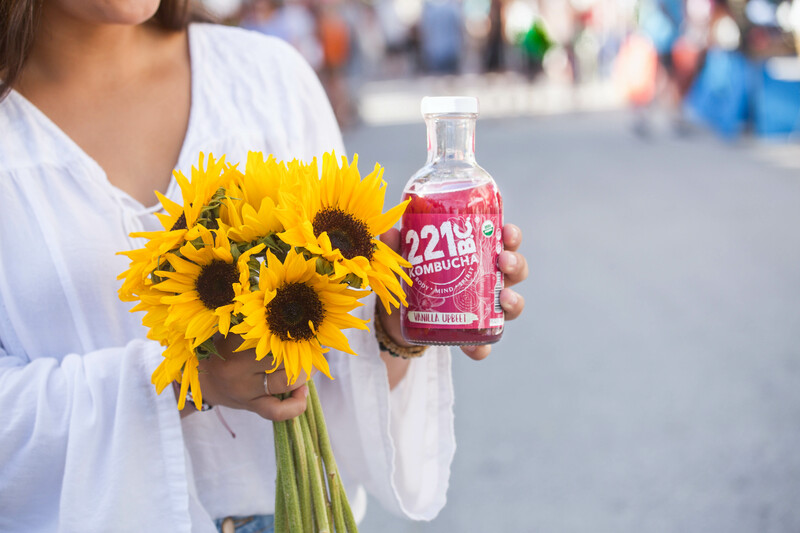 I am grateful for the opportunity to share my gift with you through this energetic, sparkling tea known as 221 BC Kombucha. Please enjoy!! STAY UP-TO-DATE ON ALL OF 221 B.C. 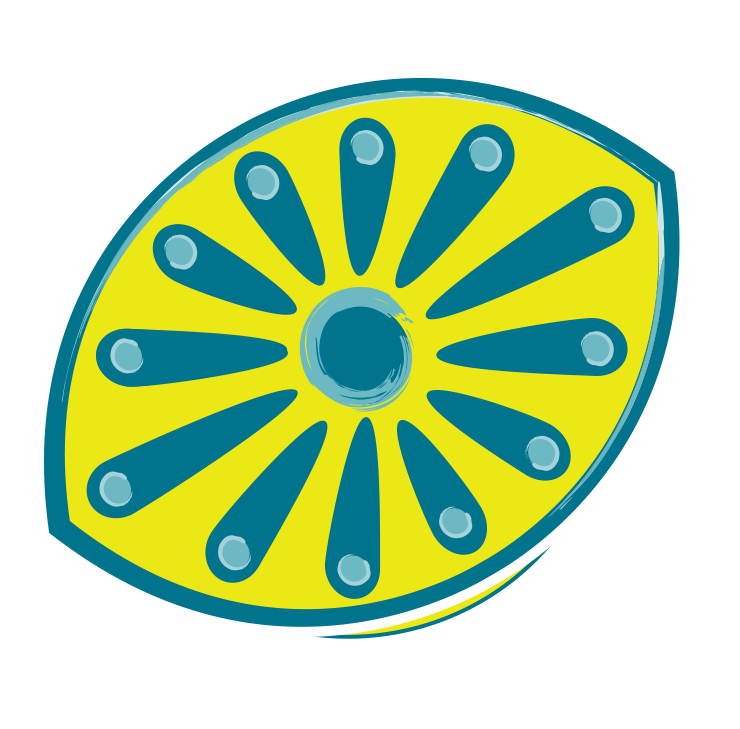 'S NEWS, HEALTH INSIGHTS AND PROMOTIONS! 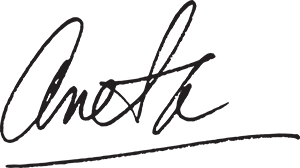 Stay up-to-date on all of 221 B.C.’s news, health insights and promotions!